While the thousands of my fellow countrymen made the journey to Mold for their dose of culture at the National Eisteddfod I took to another direction. I flew to Dublin for a three-day slaking of my thirst for Celtic culture and craic. Little did I realise that I would discover both within the same event. Even more surprising was the fact that this was acheived without a drop of Arthur Guinness' brew. 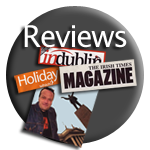 Following my first visit to Dublin in 1966, I must have returned at least six dozen time. By now I felt that I had nothing new to learn of the history of the 1916 Rising. I had read dozens, if not hundreds of books on the subject and had watched hours of relevant film and television footage. But I soon realised my ignorance of the subject when I joined the 1916 Rebellion Walking Tour. Conducting the walk was Lorcan Collins, a bubbling individual who is co-author of The Easter Rising - A Guide to Dublin in 1916. I embarked on the tour as one of twenty, believing that it would be just another visit to important venues with a background of a token talk revolving around the main events. How wrong I was. This was a two-hour tour that was fascinating from beginning to end. This was not your ordinary platitudinarian chatter but rather a vivid picture of the era and of the events that led to the Rising, an animated picture of Yeats' Terrible Beauty. We were treated to a retelling of events around Trinity College, the drama within and without Citizen Hall, the march of the rebels to the Post Office and ending up at the Post Office itself. Lorcan's great asset is his zeal for the Irish cause, his insight into the political jousting at the time and his hilarious descriptions of various episodes. He abandoned the usual script. He painted the events with his own shades on the broad canvas of the Rising. Lorcan would be the perfect television presenter. Even within one sentence he was able to combine the tragedy and the madness that were integral to the Rising. Outside Pearse's home, I was shocked to learn that no official memorial to him exists in Dublin, not even on the wall of his home. And as for memorials, Dublin is rife with statues to its heroes, and even some to its villains. 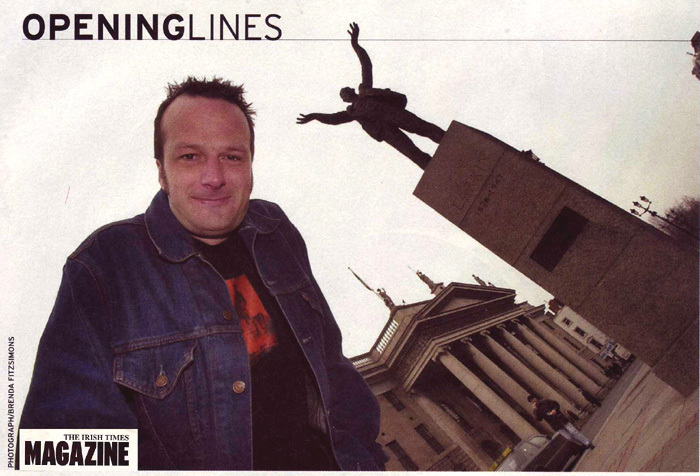 Lorcan told us of the time when he was asked to interview Dublin people for a radio programme that sought to illustrate Dubliners' ignorance of the identity of such statues. He approached one old biddy who sat under the statue of Thomas Moore and asked her whether she knew who's statue it was. Her reply was: "Even if it was King ******* Farouk, it wouldn't bother me." For years, historical revisionists have been rewriting the history of the Rising. Lorcan Collins' great contribution is in persuading us that the rebels were not "irrational, bloodyminded and unrepresentetive". He refuses to condemn the rebels for their aims. But hasty and vague as their decision to rise was in the end, it succeeded in acheiving something "that patient nationalist arguement had failed to establish." Lorcan kept his greatest irony until almost the end, as we stood before James Connolly's memorial, raised in 1996 to mark the eightieth anniversary of the Rising. The venture was financed by such various bodies as the Communist Party and Ireland's chief visage of Mammon, Irish Life plc. At the bottom of the memorial is written: "The cause of Labour is the cause of Ireland. The cause of Ireland is the cause of Labour". 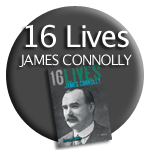 He put the lie to the assertion that when Connolly took up the national cause that Labour had lost a great man to republicanism. He rather saw it as republicanism gaining a great man from Labour. The walk is held regularly and begins at the International Bar in Wicklow Street. Lorcan may be contacted on lorcan@1916rising.com. The cost of the pilgrimage is just € 12. When I next visit Dublin, one thing is certain. I shall be on the walking tour once again. It is a fascinating experience. For once in my life I am glad to have missed the Eisteddfod. "If you have any qualms about violence, leave them at home today!" exclaims our guide and host Lorcan. It soon became evident why this is necessary. Everywhere we went passers by became onlookers, enthralled by Lorcan’s captivating manner. But our trusty guide is obviously used to the attention, and carries on regardless. Walking along the streets of the city you are transported back in time, to relive the events of Easter week 1916. Rather than chronologically detailing every event, the guides explain this important part of Irish history through the places visited. Listening intently, I felt like I was looking at Dublin with fresh eyes. Walking the streets each day, I had failed to take note of many of the tributes laid to those who lost their lives in the historic rebellion. But this is much more than a lecture on statues and memorials. 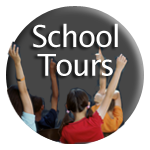 The experienced and knowledgeable guides are passionate historians who have a deep understanding of the Irish nationalist cause. The tour, while touching on a sensitive period of Irish history is by no means anti-British. In fact, the majority of people who go on the tour are English, and this is welcomed. Prior knowledge of the 1916 rising is not a requirement for this tour. Introductory literature is handed out at the beginning, which gives you background information on the Rising and the main characters involved. The lively guides welcome audience participation and will happily answer any questions you may have. This tour is not for those who want to see the leprechaun version of Dublin. But while the subject matter has deep, important historical roots, it is by no means boring. History mixes well with humour, for a thoroughly enjoyable trip down memory lane. Irish historians Lorcan Collins and Conor Kostick founded the 1916 Rebellion walking tour in 1996. 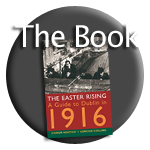 As well as running the tours, the pair co-wrote A Guide to Dublin in 1916. Like the tour, the book goes through the main places of interest and details the events of the rising. A fascinating read, and brilliantly illustrated, the book is the perfect complement to the tour. The book is available on the day for €10, or from Eason’s bookshops. The 1916 Rebellion walking tour is a true gem. Fascinating, intriguing and eye opening, even for those that have visited the capital before, or who have lived here all their lives.